Jonathan has started meeting weekly with guys through his English club. Pray for deepening relationships with these local guys and for talk of Jesus. Thirteen pastors and lay leaders of churches in the area are in a mentoring program using the OMEGA course material. MEDIC is their primary identity and until Joseph returns Fozia is keeping the program going on a day to day basis. Pray for God to work in and through these various programs to reach people with the Gospel. Ryan and Glenda are grateful a new teacher from Scotland arrived to teach the kids this year. 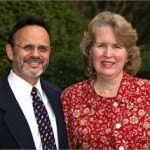 Pray for the Ryan and Glenda’s kids to adapt to a small school with only kids younger than them. Continue to pray for safety, locally and regionally, and for an end to the war in Syria, Iraq, and Yemen. Pray for another nurse, administrator, and long term teacher for the hospital. A group from Second is leaving for India to work concurrently as two teams. Sarah Sadlow and her team will train local women in discipleship. Pray that hearts and minds would connect as they teach, train, and encourage the Women’s ministry leaders. Rick Moore will be reviewing the work we support and Ron Sadlow will be teaching 40-50 pastors, church planters, and church leaders. Pray for all aspects of the trip and for the members of the teams to be a blessing and to be blessed by their ministry. The Judah Team in Indonesia find God works in mysterious ways in bringing His own to them as a house search led them to Tomi, a scavenger who found the ultimate prize in Jesus Christ. Pray he can be discipled and become a witness to his family and neighbors. Pray for the Judah team as they follow up on new believers hopefully leading to baptisms. Thomas and Jennifer are asking God for another full-time Chinese speaking intern to replace Yuna when she leaves in December. This would involve extensive work with kids and parents in Mandarin. They also need prayer for a larger facility for the Gospel Center. With the number of adults and children the current facility is just too crowded for most activities. Pray for Dan Burns who is attending the AWEMA conference in Turkey today through the 29th. Programs aim at culturally enlightening societies, solving the poverty, illiteracy, and unemployment problems, and/or discovering effective ways to practically deliver Christian teachings to the Arab people. Norm Leduc is going to Asia for the Pioneers Intl gathering of field leaders for a week of fellowship, networking and strategic thinking. Pray for this event and for Norm to have wisdom, health, and sensitivity to the Spirit. Norm oversees operations and finance for the Pioneers US Mobilization Base which includes 140 staff and is blessed with a strong team working alongside him. Pray for the team’s witness to the crew working on construction of the Fletcher Center building. Pray for Brian F. as he will travel to Sheffield, England in a few days where there is a new Campus Outreach group. Pray for 100 new converts at Khon Kaen this year and for Terri as she ministers to the girls. It is easier for Thai girls to come to Christ as the boys usually become monks. Brian and Terri feel the challenge of being separated from aging parents and scattered children, as well as keeping pace in the ministry. Philemon Project’s preschool is making a profound impact on the lives of at risk children and their parents as they focus on cognitive, social, and spiritual development. There are 15 staff members caring for 70-80 children and they hope to add a full-time nurse and social worker to lead the adult mentoring ministry. 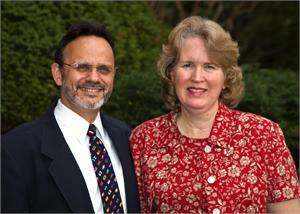 Pray for Robby, as director, and for the staff and leaders of this vital outreach. Dan & Stefanie ask prayer for God to provide them with a home where the girls can play outside in safety and a place for the business they plan to start that will give more in-roads to the local Muslim community. Time is of the essence as they need to have a new business in order to renew their business visas. Continue to pray for a satisfactory schooling situation for the girls.